Senado Square (also known as Largo de Senado) is the city centre of Macau. It is located opposite Leal Senado (presently known as the Civic and Municipal Affairs Bureau or the IACM) on Avenue de Almeida Ribeiro. 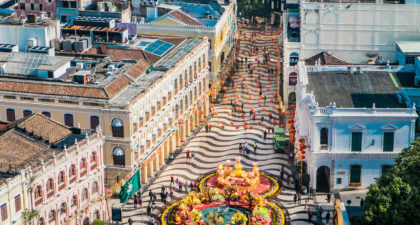 This central location makes Senado Square Macau’s most chosen location for public events and celebrations. 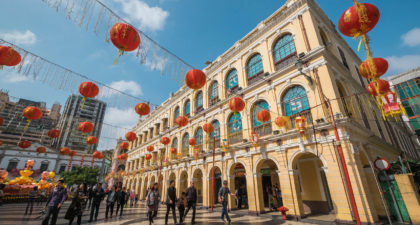 Macau’s multicultural identity can be witnessed in full form in this Square and its blend of colourful Western buildings and a Chinese bazaar. Souvenir shops and food stalls abound. 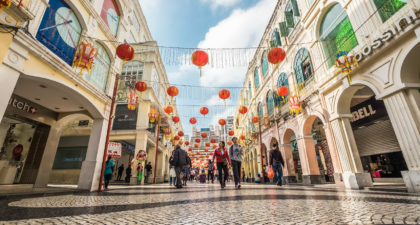 Walking the winding streets leading out of the Square will lead you to several of Macau’s most popular sights, including the Ruins of St. Paul, Mount Fortress, Macau Museum and St. Dominic’s Church. The Square’s beauty and activities remain appealing both during the day and at night. Hence, visitors hoping to avoid the crowds or witness Senado Square’s elaborate light decorations should visit at night.